Marvel Book Space at Pinewood Studios for Guy Ritchie Captain Britain Movie? 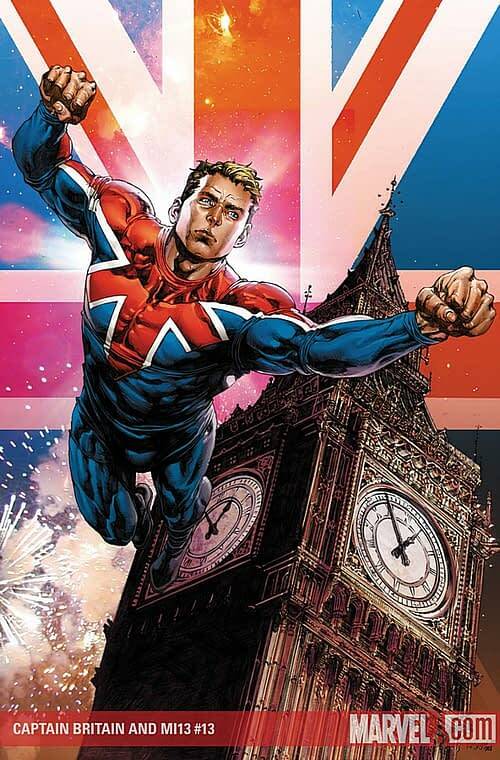 Home » Film » Marvel Book Space at Pinewood Studios for Guy Ritchie Captain Britain Movie? The new Popbitch mailer is out. The British weekly highish-brow gossip e-mail that Bleeding Cool is, in part, based around. I was on its editorial board for a while (in fact I’m not sure if you can ever leave) but that didn’t stop it from continuing majestically into its 900th edition today. Marvel Studios has booked some space at Pinewood to host auditions for a Captain Britain movie. Supposedly attached to direct? Guy Ritchie. Ritchie came a cropper with the recent King Arthur movie, and the seven subsequent movies that had been planned to follow it come to nothing. Might he be a better fit for the lord of the major, turned nationalist superhero that is Brian Braddock, Captain Britain? Captain Britain was created by Chris Claremont and Herb Trimpe in the seventies for the Marvel UK weekly title, but gained critical acclaim when Dave Thorpe, Alan Moore and Alan Davis worked on the character, with Chris Claremont then bringing their work into the rest of the Marvel Universe. The child of extra-dimensional beings, granted powers by Merlin, he hasn’t has his own series for a while, though often turns up in the Marvel Universe with the superhero team Excalibur. Could this be how the Marvel Cinematic Universe goes further internationally for Phase Four?